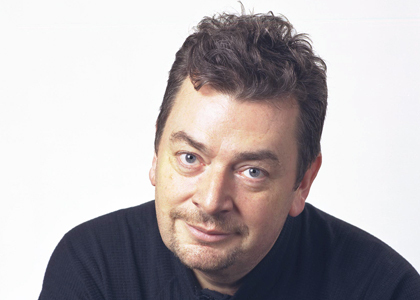 Leading commentator and broadcaster, David Aaronovitch of The Times newspaper, is one of the UK\’s most experienced conference presenters and speakers. He is a regular political and social commentator on BBC programmes such as Newsnight and the Andrew Marr Show. Whether it\’s addressing audiences of over a thousand for Intelligence Squared or giving a keynote speech alongside the Mayor of London at the Mansion House, David\’s ability to engage and entertain is in great demand. He has chaired and spoken at conferences in the private and public sectors for over 30 years with his most recent engagements including Canada\’s travel industry, EMAP and The Association of Chief Police Officers. David combines his conference facilitating skills with his role as a speaker. David\’s inside knowledge of the changing political landscape in Britain, Europe and the US, combined with his natural sense of humour has illuminated a range of conferences and events. His insight into political leadership following his close association with Tony Blair during the making of the BBC series \” The Blair Years,\” mean that his views are influential. Following the recent publication of his Sunday Times bestseller, \”Voodoo Histories,\” which considers the purchase that conspiracy theories currently have on public opinion, David\’s views on how people come to believe far-fetched ideas about anything from Obama\’s birth to Princess Diana\’s death have commanded great attention. In 2010 David went on a book tour of the UK and the US where discussion of the origins and influence of conspirary theories commanded special attention amongst those in the many professions where understanding how popular perceptions are formed, and the impact they have, are particularly important.